Why fight up close when you can fight from afar? 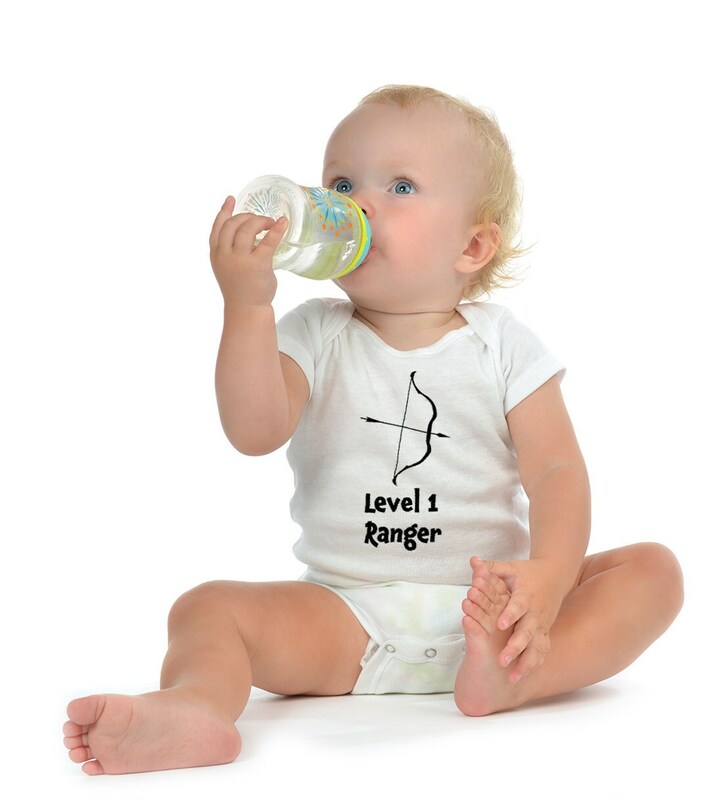 Your little level 1 ranger knows what's up! 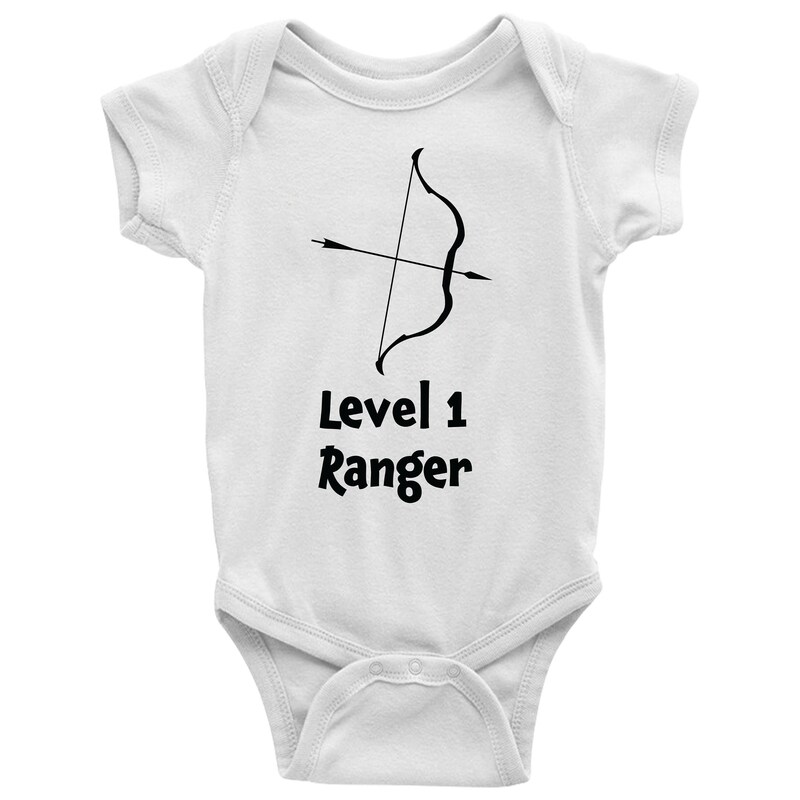 Buy your melee challenged baby a custom Dungeons and Dragons ONESIE from Level1gamers. 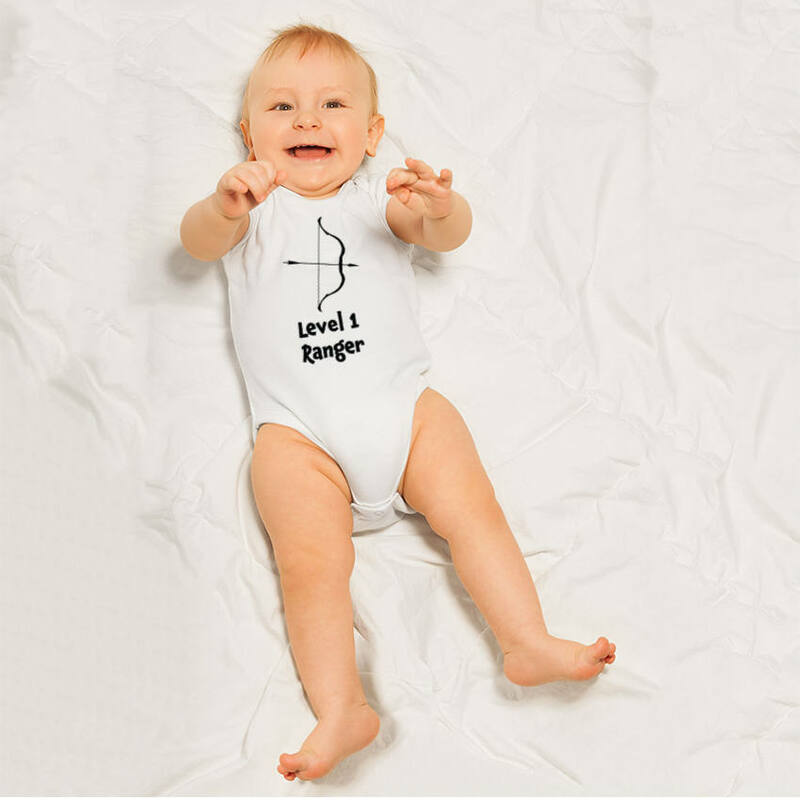 Each geek ONESIE is crafted from 100% soft cotton and is hand pressed with the highest quality heat transfer vinyl. 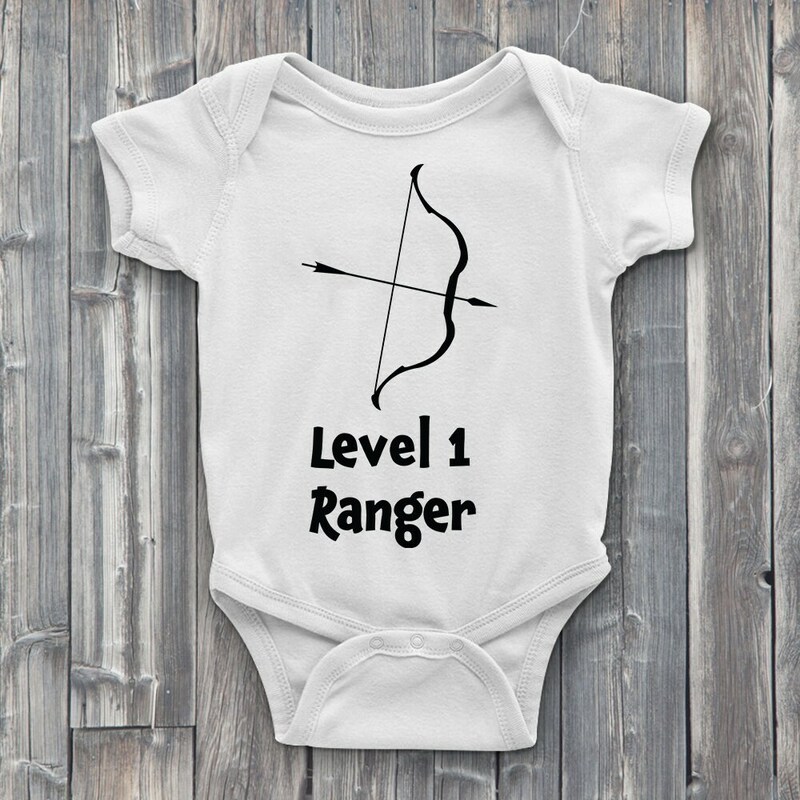 Available in many sizes and is unisex for baby boy and baby girls adventures.